Home » Piano Tutorials » The want to build a snowman sheet music Sheet Music and Piano Tutorial from the Disney movie Frozen. As this is song is a part of a musical movie, you have to really be familiar with the structure of the song because it's a little bit more compliacted Then the common verse chorus structure. So before you practice this song I suggest you listen to the song for a few times. As for the piano sheet... I have arranged the piano sheet sticking to the original version while stating all the main voices button in real playing I'll make some choices during the piano tutorial and so I'll be playing a reduction of the complete score. If you feel that you have an other way then feel free to play according your point of view. I think that's what makes music so nice, that it's open for interpretations. I'm playing the song in the original key but you can of course transpose and find a scale you're comfortable with. Click here if you haven't signed to Piano Playground, our free E-zine yet make sure you do that in order to get the user-name and password codes to the Want to Build a Snowman sheet Music I provide here under. 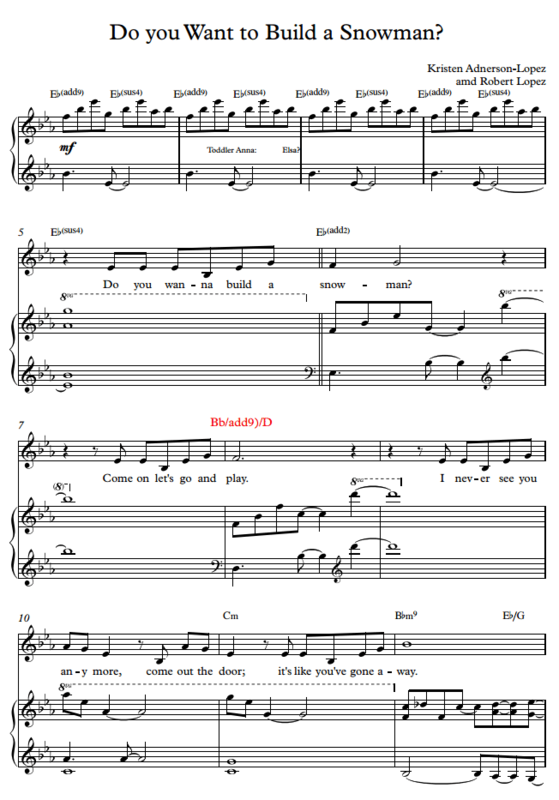 Here's the want to Do you want to build a snowman sheet music Sheet Music. Had fun? Great! 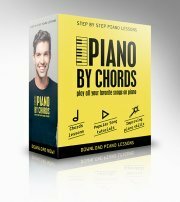 You know, there's a way to explore more on how to play piano by chords. It's great to imitate what you see on a video but you can learn how to form all possible amazing piano chords and learn to play an enormous amount of different rhythms while playing popular songs by artists like the Beatles, Adele, Bruno Mars, Leonard Cohen and more. Check out our complete "Piano by chords" course where you'll go through a journey that combines both piano lessons and piano tutorials that will make you play the piano like a PRO, including courses for beginners, intermediate and advanced players!